Won the Male Grooming Range category in the Natural Health International Beauty Awards 2015, judged by Daniel Galvin Junior. 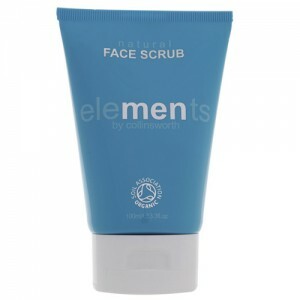 Gently cleansing your skin, this face wash is perfect for cleaning your face and prepping for moisturising. 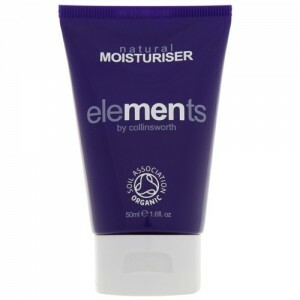 It won't strip away the natural oils like other products which can leave your skin feeling dry and tight. Elements skincare range for men is straightforward and functional as well as being approved by the Soil Association, Cruelty Free and The Vegetarian Society. It is free from many chemical nasties including parabens. Elements' simple and straightforward skincare range is approved by the Soil Association - widely considered to have the highest criteria for organic certification. Their no-nonsense approach to things though hasn't affected the quality of their products. They are also certified by Cruelty Free and The Vegetarian Society. Their products contain no nasties including (but not limited to) parabens, SLS and SLES. May Chang - tightens skin tissues and dries secretions removing excess oil from the skin and reducing the appearance of pores. Chamomile Oil - soothing for sensitive skin, ache, inflammation, rashes, cuts and abrasions. Patchouli Oil - regenerates skin cells, hastening the healing of wounds and calming skin problems such as sunburn and ache. Apricot Kernel Oil - this rich and nourishing oil, with regenerative and toning abilities, is absorbed by your skin without leaving a greasy residue. Use like a normal soap: Use a small amount squeezed in to your palm and lather up between your hands, gently lather in to your face and neck and finally, rinse with warm water and pat dry. Follow up with moisturiser.